Our sales office will be open from march 20th and our staff are waiting to hear from you. Talk to us today to book your appointment and find out how we can make your move possible, whether you are a first time buyer, have a property to sell or a cash purchaser we have options to help you on your way. Located within Edwinstowe House (High Street, Edwinstowe, NG21 9QS) our dedicated sales suite will hold all the information you require. 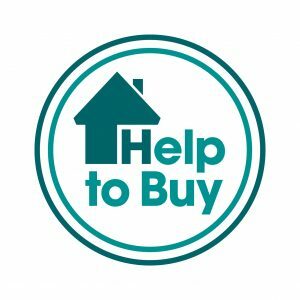 Whether you are a first time buyer or you have a house to sell we are here to help you. Buying a new home is probably one of the biggest decisions you will ever make and a major financial commitment too. We will make it as easy as possible for you to buy a home with us. This means we will provide you with a dedicated sales person to guide you through the entire process. They will give you with all the information you need from reservation to completion. You will receive regular updates on the build progress of your new home if you reserve off plan and we will also keep you fully informed on the legal side of things. A member of our sales team will be on hand to help you choose your fixtures and fittings as well as those optional extras to make your house your home. Our customer care doesn’t end when you collect your keys, we will be there for as long as you need us. We will provide you with a home file with useful information enclosed, helping you with the running of your new home as well as the numbers to call should you need help. We are passionate about great design and formulate clever concepts, developing beautiful interior spaces for our clients. Working alongside the lovely people at Woodhead Homes we’ve created some beautiful spaces for you to enjoy. Perfect for living, working, playing… and loving. Find out more here. The above links have been designed to give useful but general indications. It’s important you always get a specific quote from the lender and specialist advise from qualified professionals before acting on the information. We cannot accept responsibility for any errors.